In September 1812, a group of settlers recruited by Lord Selkirk to establish a colony near the confluence of the Red and Assiniboine rivers continued south along the Red River to its junction with the Pembina River, where it would be easier to obtain winter food from local Metis bison hunters. 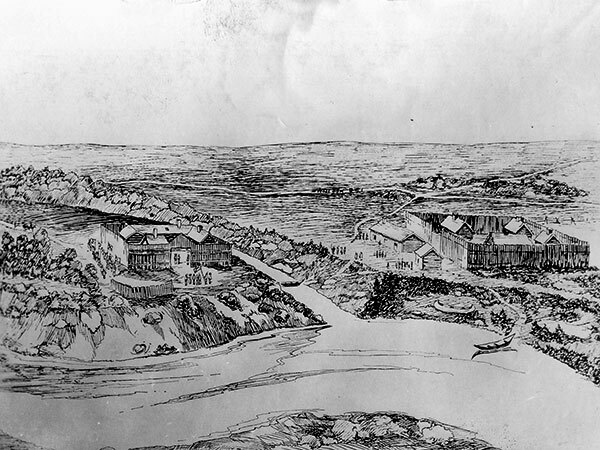 On the north bank of the Pembina stood Fort Pembina, a fur trading facility of the North West Company. The Selkirk Settlers occupied the south bank and there set up makeshift huts that they named Fort Daer in honour of Dunbar James Douglas, the Sixth Earl of Selkirk (1809-1885), eldest son of Lord Selkirk. The settlers returned to the future site of the Red River Settlement the following spring. 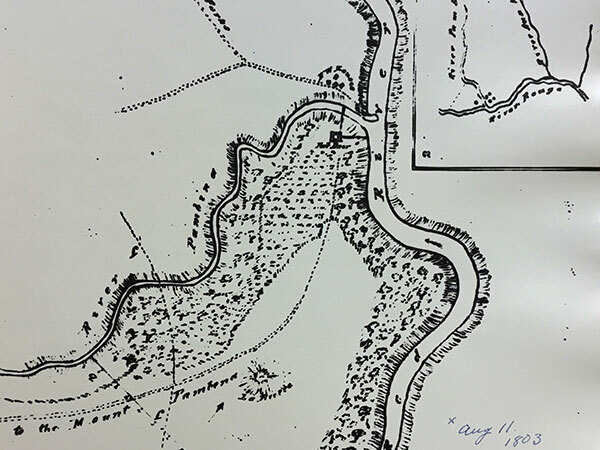 Fort Daer enabled the settlement to survive their first winter and subsequently establish what became Winnipeg. After an 1818 treaty between Great Britain and the United States concluded that the border between Canada and the US lay along the 49th line of latitude, putting Fort Daer in American territory, the facility was abandoned. 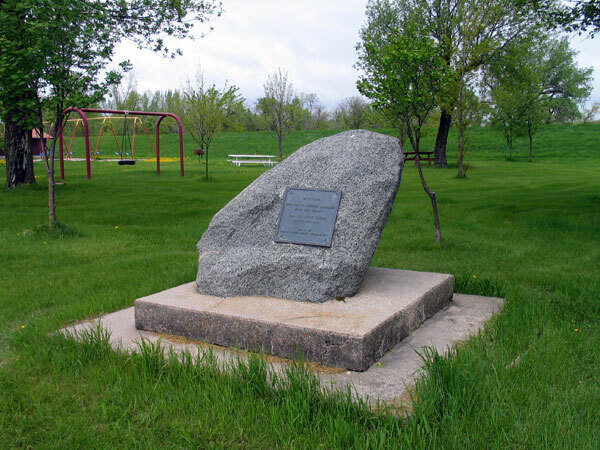 A marker at the former fort site was erected in 1948 by the Pembina County Pioneer Daughters. Source: Archives of Manitoba, Stovel Advocate Collection, #4. Source: Nan Shipley Fonds, Box 16, File 8, University of Manitoba Archives & Special Collections. The Centennial History of Manitoba by James A. Jackson, Toronto: Manitoba Historical Society & McClelland and Stewart, 1970.